The 6th letter of the Greek alphabet stands for a cunning physicochemical characteristic: the zeta potential, an electric potential that forms atthe interface between material surfaces and aliquid. What sounds complicated is essential in everyday industrial life. Whether it is a polishing paste for the semiconductor industry, the coating of glass fibers, the oil or filter production - often only the zeta potential allows an approach to the perfect surface. Anton Paar launched the “Electrokinetic Analyzer” in 1990, replaced it with the first SurPASSTM developed in-house in 2006 and revolutionized the device with the SurPASSTM 3in 2015. To sell cheaper, the SurPASSTM 3 Eco is now available, which costs 1/3 less than the SurPASSTM 3. “Recently, we could not implement exciting projects because customers could only afford a lower budget,” explains product manager Thomas Luxbacher. The Eco version does not offer all technical refinements, but can be upgraded to a fully-fledged SurPASSTM 3. 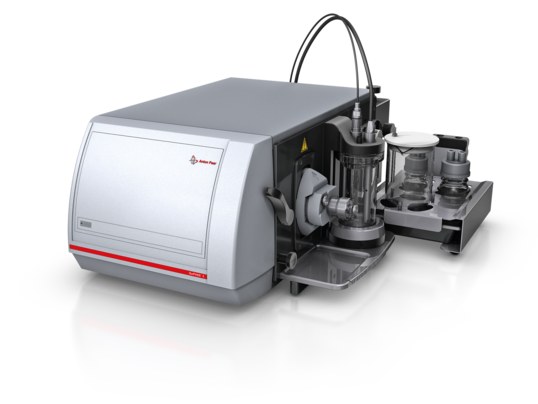 Nevertheless, it offers perfect and easy access to zeta potential measurement. 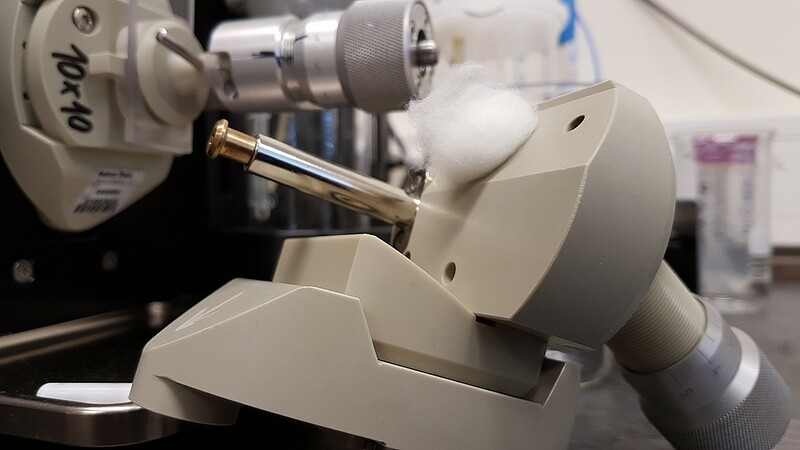 “After installing the sample you have to measure just two minutes and get a reproducible result,” says Thomas Luxbacher. Thanks to its natural handling, the device is also of interest for industrial quality control. There are many application examples like examining ceramics. Anyone who thinks of painted coffee mugs is deceiving themselves. ”We can examine ceramic components that are required for implants or used for industrial filters. It‘s about assessing how the material reacts with liquids or in the body,” says Thomas Luxbacher. Often, the loading conditions on the surface have to be altered. “Most surfaces form a negative zeta potential in water. If a membrane manufacturer develops filters for virus retention, these must be positively charged to bind negatively charged virus particles,” says the product manager. Measuring the zeta potential confirms the charge reversal at thesurface. Even complex requirements can be mastered with this measuring device. Like the analysis of oil containing rock from which crude oil is to be extracted. This raw material extraction is a particular topic in the USA. To reduce the adhesion of crude oil in porous rock in the so-called tertiary oil extraction, saline water is mixed with certain additives and pumped into the oil reservoir. The zeta potential of the rock samples, which are usually available as drill cores, determines the type of these additives. Currently, nine different sample carriers for solids, fibers, and others are available for the instrument. The mounting of the sample and the installation are a snap, and a non-destructive measurement even with the smallest measurement readings go smoothly with little effort. So nothing more stands in the way of an acquisition in industry and research.